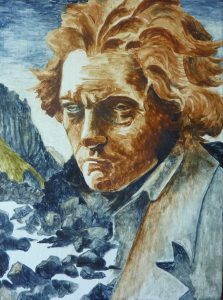 Beethoven in Wales brings together composers, performers and music clubs to celebrate the musical life of Wales. Rhyl Music Club came up with the ambitious project of putting on the complete cycle of Beethoven’s ten Sonatas for violin and piano across three concerts in one season and asked locally resident duo Mary Hofman and Richard Ormrod to perform them. 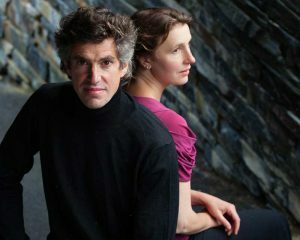 For each concert they have commissioned a new work by a Welsh female composer to reflect on and respond to the Beethoven Sonatas, thereby helping audiences to respond in turn to familiar works. It was important for this project to work with some of the wonderful female voices coming from Wales as a counter voice to, and new perspective on Beethoven. Following the new works’ premieres in Rhyl the cycle is being taken to nine other venues and will include workshops and talks by the composers. In a country as rural as Wales, music clubs are essential in maintaining live music locally. Rhyl Music Club provides many opportunities for young people with awards, masterclasses and concert performances. These opportunities may be commonplace for people in urban centres but are a rarity in more rural areas. This project is intended to raise the profile of, and increase support for, the wonderful work music clubs are doing across Wales. Rhian Samuel was born in Aberdare and has lived in Britain and the United States. She currently divides her time between Aberdyfi and London. She writes orchestral, chamber and vocal and choral music and has worked with many of today’s foremost classical artists. 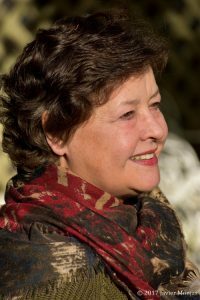 Her first large orchestral work was Elegy-Symphony in 1981 while her Tirluniau/Landscapes was premiered at the BBC Millennium Proms in the Albert Hall by the BBC National Orchestra of Wales. To date around 120 of her works have been published. 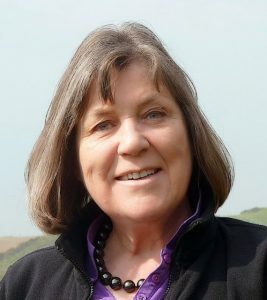 In the USA she was joint winner of the ASCAP-Rudolph Nissim Award in 1983, whilst In the UK she won first prize at the Greenwich Festival in 1979 and has received subsequent accolades including the Glyndŵr Medal for services to the Arts in Wales and an Hon DMus from the University of Wales. Sarah Lianne Lewis is a composer whose music often explores instrumental textures and the aural architecture of performance spaces. Since graduating from Cardiff University she has received several commissions and performances from UK and European festivals, and has enjoyed working with a variety of performers, leading educational workshops, recording sessions and rehearsals, and holding public masterclasses discussing her music. In 2016 “Is there no seeker of dreams that were?” was premiered by the BBC National Orchestra of Wales and the work was subsequently programmed by the orchestra for their 2017/18 season. 2017 saw Sarah developing a work for chamber choir and composing a new orchestral piece for the Orchestre Philharmonique de Radio France. She also worked alongside Quatuor Bozzini and saw her work presented and premiered in both Montréal, Canada, and Aberdeen, Scotland. She was particularly drawn to Beethoven’s 7th sonata. In addition to hearing her work being performed in different venues round Wales she is looking forward to running workshops alongside the concerts, having herself started composing when in secondary school in Dyfed. Praised for its lyricism and formal balance, her music is influenced by a strong identification with the natural world. These two interests combine in her enjoyment of haiku and in text selections from Welsh poets. A deep interest in the traditional music of Japan has led to private study of the shakuhachi and guest visits to Japan, Korea, and China. Her compositions have been widely performed and recorded by ensembles such as the European Women’s Orchestra, Tenebrae, Lontano, MarsyasTrio, Thai Philharmonic, Royal Liverpool Philharmonic, BBC National Orchestra of Wales, and KBS Philharmonic in Seoul, Korea. Richard Ormrod and Mary Hofman have performed duos together for five years in venues across the UK as well as touring the Mediterranean, Malaysia and Cambodia. They enjoy playing both innovative and more traditional programmes with the special intimacy of a husband/wife duo!. When not making music they love to spend their time exploring the mountains around their home in north Wales with their young daughters. Since graduating in 2007, Mary has pursued a varied career as an orchestral and chamber musician and teacher. She has been guest leader of the Edinburgh Quartet as well as performing with the Endellion quartet and is a member of Ensemble Cymru. 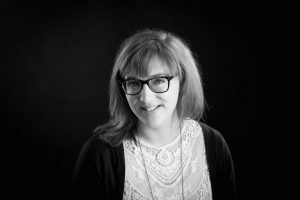 Mary has worked with most of Britain’s leading chamber orchestras and also teaches violin at the Junior Royal Northern College of Music and Bangor University. Richard is an acclaimed soloist and has performed concertos on international tours with a number of major orchestras. Richard also plays a wide range of recital repertory in venues across the U.K. as well as in more than a dozen countries abroad. He was a semi-finalist in the Leeds International Piano Competition at the age of 19 and went on to win prizes at others including the Rubenstein and Tchaikovsky competitions. Richard serves on the piano faculty at the Royal Northern College of Music and the Royal Welsh College of Music and Drama. It is said that the ten Beethoven sonatas represent the most important body of work for violin and piano. As with so many of the genres that he touched, Beethoven set the standard to which all other composers aspired for many years afterwards. For a violin and piano duo, these works are central to everything they do. Welshpool, Dolgellau, Machynlleth, Wye Valley, Carmarthen, Aberystwyth, Newport: Adbaston, Rhymney Valley. Please check their websites for details.